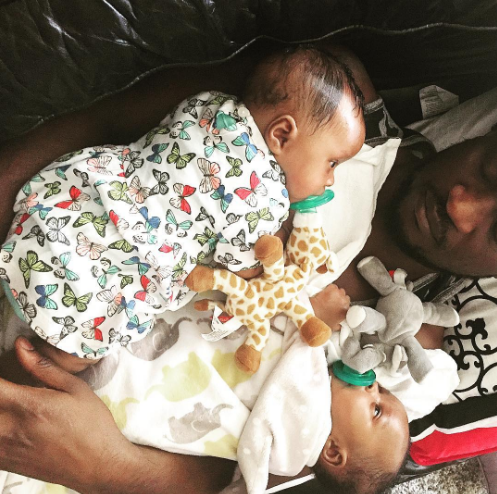 Singer and half duo of the Psquare team, Paul Okoye who recently welcomed twins, a boy and girl shared video of himself feeding one of his twins at 4am. @ 4am 😒.... am a leaner 😂 ...am trying sha !! !